Calves with respiratory issues in the first eight weeks of life are able to survive to adulthood, but those lung issues do lead to a significant loss of milk production in their first lactation, according to a study conducted at the University of Guelph in Ontario. Researchers used ultrasound weekly on 215 Holstein heifers during the first eight weeks of life to determine the amount of congestion in their lungs. They found over half (57%) had at least one case on congestion during that time. 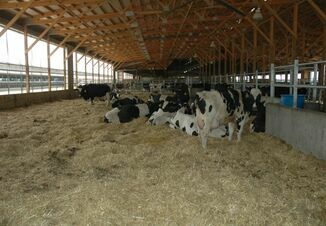 The heifers were then tracked through their first lactation. There was no difference in the age at first calving between calves with at least one case of lung congestion and those with no cases. But heifers that had at least one case of congestion produced, on average, 1,155 lb less milk in 305 days. Also of note: Twenty five percent of calves in the study did not reach the end of their first lactation. Seven percent of the animals died as calves, and a further 18% were sold prior to the end of the first lactation. 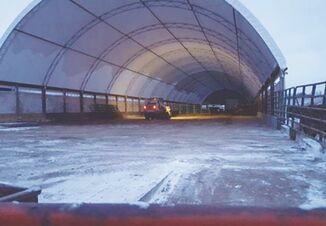 The Guelph researchers, however, did not report any differences in these attrition rates to heifers with or without lung issues. The study was reported in the June issue of the Journal of Dairy Science. Click here to read an abstract of the study.